Federal officials and elite media pundits ridicule conservatives who demand lower government spending levels. They say only 24% of the budget is discretionary, and most of that is military spending, so there is nothing anybody can do about increased spending and debt without taking a hatchet to social security benefits. Horse Hockey. There is a heck of a lot of discretion in that “mandatory” spending. 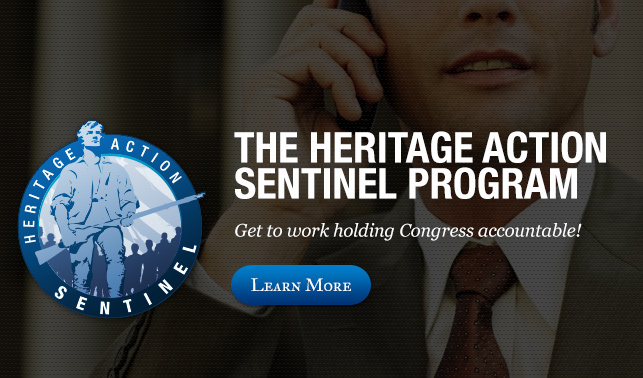 The Heritage Foundation points out that in 1965 only 27% of federal spending was mandatory. By last year mandatory spending had grown to 63% of the total, and it’s not just a function of our aging population. Over time our government has pushed a ton of new spending into the mandatory category. Our government has made the discretionary decision to give millions of legal and illegal immigrants and refugees social security benefits, medicaid, disability, earned income credits, and a host of other “mandatory” federal benefits and subsidies. The majority of foreign-born in our country are on one or more welfare programs. And this does not even begin to address the cost of education, health care, fraudulent tax returns, cost of police and prisons and other infrastructure that cost billions. Our government has made the discretionary decision to not enforce the borders, to not follow up on visa violations, and to not keep illegal alien criminals out of the country. There is nothing mandatory about inviting foreigners to dip into the American taxpayers’ soup. Our government has also made the discretionary decision to not crack down on waste and fraud in the mandatory spending programs. A study by Senator Tom Coburn’s office indicated as many as 45% of disability claims were questionable. Social security and food stamp fraud is rampant. When it comes to spending, our government doesn’t have a reputation for using good discretion. It has dropped billions of public dollars on corrupt and hopelessly inefficient green energy programs and other corporate cronies. It has stifled economic development with disingenuous environmental and social programs. By its fed policy to eliminate interest, it has destroyed the US currency and transferred much of the wealth saved by a generation of middle class families to the big banks and their benefactors. Our government has made discretionary payroll decisions that have resulted in government workers earning far greater compensation than private sector workers do, and many of them are frightfully ineffective and inefficient. Five of the six wealthiest counties in the United States are Washington, DC suburbs. Much of the cost of these discretionary payroll decisions are embedded in mandatory spending. Worst of all, our government has made the discretionary decision to pass on an insolvent nation to our future generations by refusing for decades to even write, much less balance, an honest zero-based budget. They didn’t have to do it, they chose to, pandering for the votes that bring them personal power and wealth. I, for one, am tired of hearing that there is nothing anybody can do to reduce government spending because it is “mostly mandatory”. Elections have consequences, so we had better elect people who won’t use lame excuses to defend this unsustainable spending and debt. And all the time you knew it! I guess you always knew it! This entry was posted in Corruption, Immigration, Liberals, Our Economic Mess and tagged balanced budget, discretionary government spending, federal budget, government corruption, government waste, heritage foundation, Judy Garland, mandatory government spending, national debt, Tom Coburn. Bookmark the permalink.